This weekend’s outfit is from Monsoon. I love legging and top sets as they are so easy to wear. They are comfy but also look stylish and put together. These leggings hide a multiple of stains! Rosalie will still look smart even if she has smeared lunch down her legs. The pretty flower detail on her top make the whole outfit a little extra special. Her shoes were hand made by grandma. 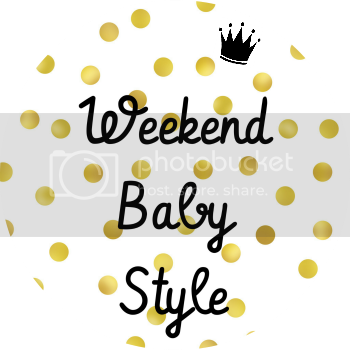 If you’d like to join in with the weekend baby style link up you can do so here. Those's floral leggings! I'm in love with them. I'm heading over to the monsoon website just now, I've never actually purchased anything from there. Rosalie is so cute! hope you had a lovely weekend.